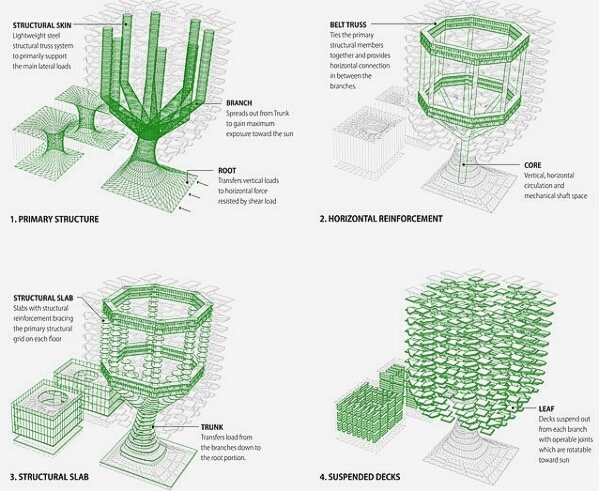 Inspired by the ecological system of giant trees, the Urban Skyfarm is a prototype vertical urban farm project. Designed to support local food production and distribution, it also improves environmental quality through water and air filtration and renewable energy production. 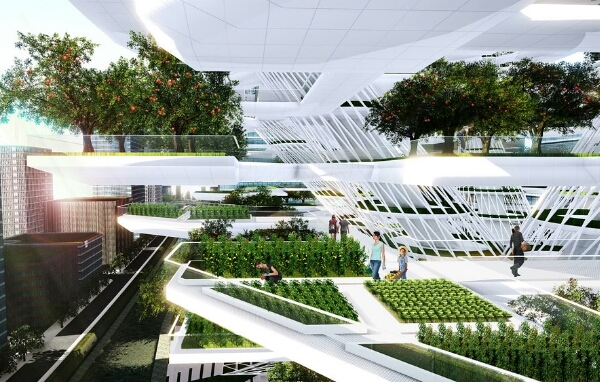 First Place Winner in the 2013 Green Dot Awards Concept category, The Urban Skyfarm is a vertical farm design proposal for a site located in downtown Seoul. 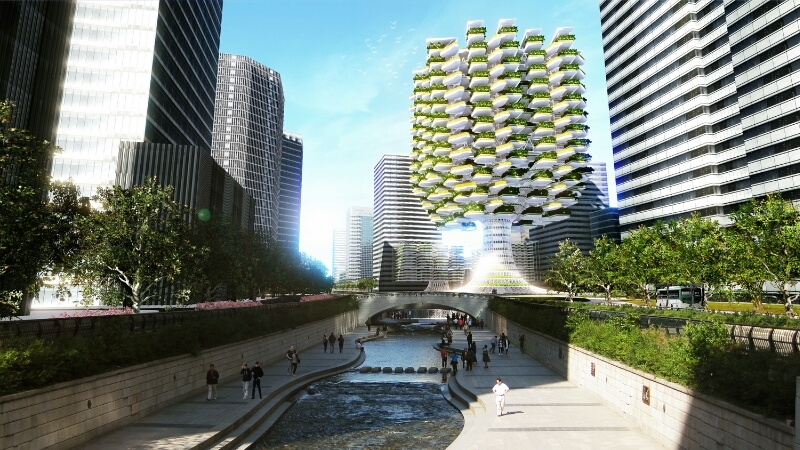 Conceived of by Aprilli Design Studio, the proposed site is adjacent to the Cheonggyecheon stream, which is a heavily populated, dense urban area within the central business district of Seoul, Korea. Aprilli Design Studio is an architectural design firm focusing on research, design and implementation of sustainable design and planning strategies which improve the quality of human life, society and surrounding environments. They believe design can be a powerful tool to provide alternative solutions and develop better strategies for rapidly transforming social, economical and environmental needs. 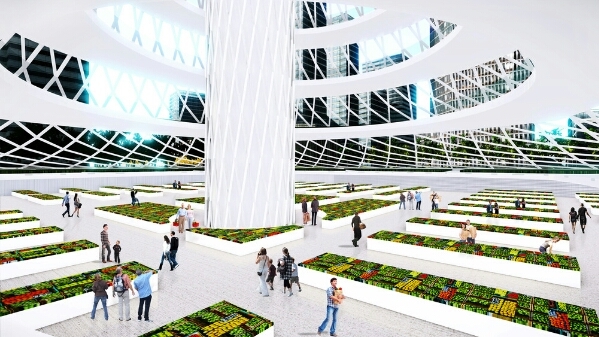 “Through lifting the main food production field high up in the air, the vegetation gains more exposure toward the natural sunlight and fresh air while the ground level becomes more freed up with nicely shaded open spaces which could be enjoyed by the urban public. 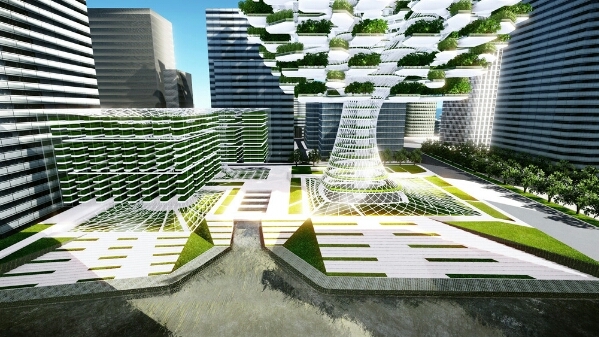 “In order to gain maximum exposure toward sun light, the vertical garden lifts the main outdoor vegetation area higher up in the air which is called the leaf portion where mostly medium based hydroponic fruit trees and larger scale vegetables needing more exposure toward outside air and sunlight can be produced. “The Tree-like form creates a strong iconic figure in the prominent location and becomes a symbol of well being and sustainable development. 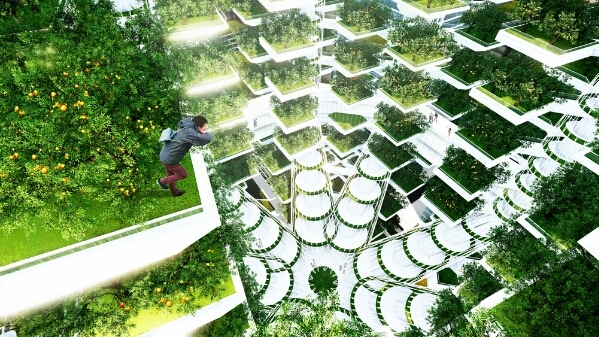 By creating more cultivation space through vertical stacking of farming decks, the dense urban development will gain more balance in between the urban development and ecology. 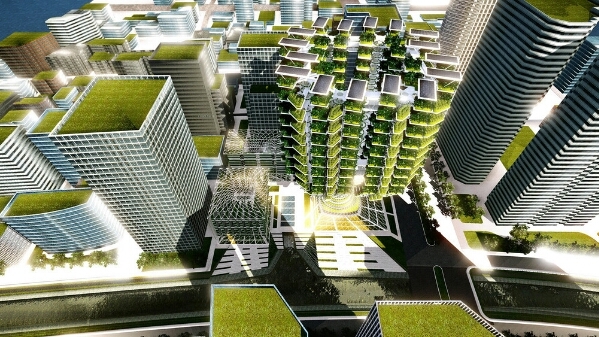 Established in 2008 by Farmani Group, the Green Dot Awards is one of the world’s most prestigious green awards. It was established with the intention to recognize outstanding products and services which are manufactured and delivered in an environmentally friendly manner. Farmani group has founded many charities, businesses, and organizations including the award-winning VUE magazine, The Lucie Awards (the Oscars of photography), Focus on AIDS, International Photography Awards, Le Prix de la Photographie Paris, Farmani Gallery, aNet Communications, Design Awards and FYIdesign. 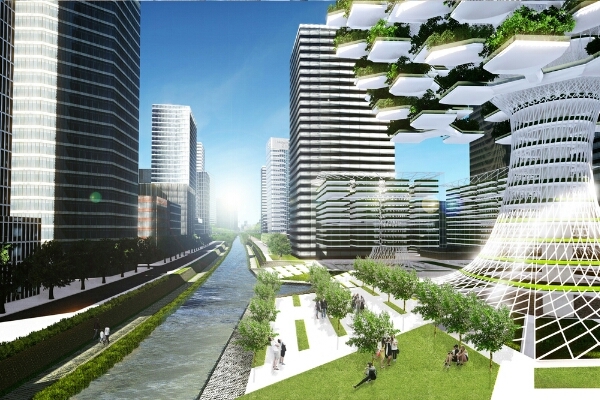 The winners of the 2013 Green Dot Awards were announced last July. The Earlybird deadline for 2014 submissions is November 1. Although the Green Dot Awards are worthy unto themselves, they are also a consumer guide to excellence in environmentally sustainable practices.